"I want to thank you all for the magnificent job you did in producing my latest catalog for Tufts University. It's really beautiful. More than that, your customer service has been excellent." Die cuts give catalogs an unexpected look that invites reading and sharing. A die cut blade works like a cookie cutter, slicing sheets of paper into new shapes. Die cuts can create simple effects along a catalog's outer edges, like rounded corners or swooping curves. They can snip out window-like peep holes or lacy effects. Or they can produce custom contour shapes like buildings, puzzle pieces or cars. Die cuts can have an arresting impact, but they require careful attention in the design process. Make sure your images, text and die-cuts line up properly. Die cuts can become misaligned because of paper thickness, measuring errors, signature creep, or misunderstanding the way catalogs are assembled. Our staff can help with these technical issues. Die cuts aren't just for simple shapes. The sharp blades can make precise cuts that are perfect for rendering fine details. When counting catalog pages, include the inside and outside of the front and back covers. Because of the way catalogs are assembled, the total page count should always be a multiple of four. 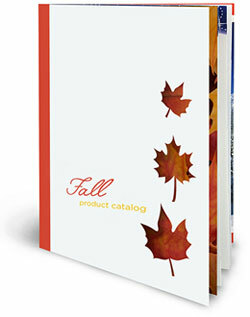 Catalogs are a terrific way to make and track sales - even when customers buy over the internet. Put your phone number and web address on each catalog page, and place a QR code and special offer codes on the back. Many catalog readers will ultimately order products online, but by using codes and mailing dates you can track the sales generated by each catalog mailing. Die cuts elevate an ordinary catalog to something noteworthy. Use them to create an upscale, custom feel, to promote your brand, or to draw attention to a particular aspect of your product or service. Die cut catalogs are a great tool for building a brand identity and creating an emotional bond with your customers. Die cuts let the pages themselves do the talking by emphasizing the traits that make your business special. A simple wedding cake cutout says "elegant" on a bakery catalog at a wedding fair, while a curvy edge evokes the ocean in a swimsuit catalog. Use a die cut in a shape that suggests your product on a product guide, menu or calendar. That Tiki hut-shaped cocktail menu will help put people in a party mood. 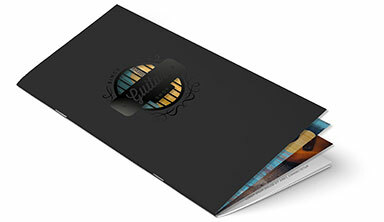 Use a die cut to showcase a special offer on the inside flap of a catalog's front cover. The intriguing shape directs people's eyes to your call to action. Use die cuts to create tabs that guide readers of catalogs, product guides, proposals and manuals. 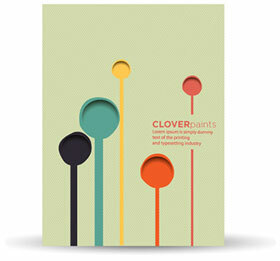 Cut out a shape in your catalog cover, providing a sneak peek of what's inside. Readers won't be able to resist taking a look. People love to interact with interesting shapes and textures. In a mailbox, the catalog with a die cut is the one that will grab readers' attention. At a trade show, it's the one people most want to get their hands on. Increase the impact of die cuts by combining them with custom sizes and unique inks or foil. Die cut catalogs are a fun way to promote your business, make yourself memorable and encourage people to act. Add special offers and promotional codes and you'll see just how successful die cut catalogs can be. Have questions about die cutting on catalogs?